Over the years I’ve created quite a few giraffes. In the spirit of the latest Facebook Giraffe frenzy, I re-visit some of my giraffes. A co-worker, Andrew, is a serious home brewer. 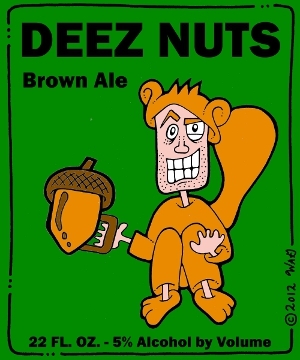 He occasionally commissions me to design labels for his beers. He pays me in beer. NOTE: Andrew and I are fully aware that a whale is a mammal, not a fish. Note: This is actually a caricature of Andrew.